We keep more than 800 vehicles in stock and carry all brands ... from the popular Ford F-150 to the luxurious Lexus line and everything in between. Come see us today.We have a vehicle for every need and every budget. Good credit, bad credit or no credit? We are your financing specialists. Fill out our secure credit application and get pre-approved. We work with many financial institutions so we have programs for all credit levels. In appreciation of your hard work, Parker's Used Cars extends a $500 discount on any vehicle in our inventory to all new college or high school graduates. To qualify simply present a newly-issued diploma from your school and we'll get you rolling. Our business philosophy deeply rooted in honest and sound deals on premium quality inventory at a great price with the highest level of customer service possible. As one of the South's largest used car dealers we keep more than 800 premium vehicles in stock from which to choose. We buy good late model used vehicles! Sell us your newer used car for cash. We pay top dollar for quality used cars, trucks, vans, SUVs, crossovers, heavy duty equipment and motorcycles. We are fully licensed, bonded and insured and we handle all of the paperwork for you. I've purchased many vehicles for myself and family and have had good experiences and bad. But never have I recieved so much honest and personal attention from a business -- Tommy and his wife were such a blessing to me. I live about nine hours from SC, and was trying to find a way to purchase the truck of my dreams for a retirement gift. Tommy had that vehicle at his dealership. For 10 days Tommy held that custom made truck for me from a number of potential buyers, keeping his word until I was able to secure finance and travel to his dealership. Only special people with a customer's best interest can do this. So Tommy and Melissa, my wife and I are forever grateful. Thank you! We stopped by for a quick look at a drop top blue Sebring Limited and had no intention of leaving with it. We met Tommy and we had a ball buying this car. It was quick and painless and he was very competitive on the price. We love the car and it has given us many trouble free miles. Tommy is worth the extra drive (if you have one) not to mention the huge high-end inventory and clean facility you would only expect with a new car dealership not a pre-owned lot. Thanks Tommy we will be back! I just recently decided to get another SUV. I have had a Yukon for awhile now and love it. I wanted to upgrade to a Denali. Tommy Parker had no problems finding exactly what I wanted in a short amount of time and for the price range that fit my budget. The entire process from start to finish went smoothly with no aggravation for me at all. The entire staff there is very friendly and will go out of their way to meet your needs. I will NEVER car shop anywhere else and I will tell all of my friends about Parkers Used Cars! Go by and see them so they can put you in your dream car too! My family and I bought our last vehicle from Tommy and had no problems. We actually got a great deal. Now that another child is on the way, we had to upgrade to a third row seat vehicle. Tommy and Roy knew exactly where we had to be with our payment and what we needed for the family. He only had to show us two vehicles and we all agreed on the second vehicle shown. It was a super choice and selection for comfort, price and room. Parker's even did an outstanding job on our trade in. Like Tommy says, "We'll take care of ya." Thanks guys! My wife and I drove over two hours from Summerville, SC to look at a Jeep Wrangler at Parker's Auto Sales. Tommy stayed open way past his 8 p.m. (closing time) without any pressure on us to hurry up and make a decision. We love his laid back approach, honesty and love of God! I Found a GMC 3500 on cars.com in mid-January and talked to Tommy on the phone to see if the truck was still avaibile. I waited a day then drove overnight from Florida (and) got there in the morning with 13 degree weather. Got the truck, very clean and at a extremely affordable price. Will be doing business together. 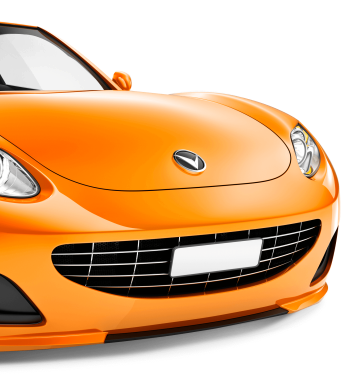 Your first choice for top quality, late model, low mileage, pre-owned cars, trucks, SUVs, vans, crossovers and motorcycles in North Carolina and South Carolina. We have a big selection of all makes and models of used cars, trucks and SUVs including BMW, Chevrolet, Cadillac, Chrysler, Dodge, RAM, Hummer, Hyundai, Jeep, Mercury, Lincoln, Nissan, Mitsubishi, GMC, Lexus, Honda, Toyota, Ford, Mercedes-Benz, Mazda, Infiniti, Volkswagen, Volvo and Kia. Our used motorcycle inventory includes Harley Davidson, Suzuki, Kawasaki, Titan and Honda. We carry only the cleanest, most well-maintained used and preowned vehicles on the market. At Parker's Used Cars there is always a huge selection of trucks, SUVs, vans, cars, crossovers and motorcycles. With a variety of financing options available we can get you the right car loan to put you in the vehicle you want today for a price you will love. Our caring used cars sales and finance staff will help guide you every step of the way making your used car buying experience easier than ever before. We hope you enjoy perusing through all of our used cars, trucks, SUVs, vans and crossovers while you are on our site. Please feel free to take a moment to submit a secure online credit application and get preapproved for credit financing today! Some of our financing options include Ally (formerly GMAC auto loans) bank lending from Wells Fargo, First Citizens, First Capital, Credit Unions in the CUDL network such as SPC Credit Union conveniently located in Bennettsville, SC. Parker's Used Cars proudly serves Bennettsville, Florence, Myrtle Beach, Charlotte and Columbia. Come visit our location in historic Blenheim, SC, just south of Bennettsville, SC, on the way to Myrtle Beach, SC, 10 miles from I-95 and just 30 miles from Florence, SC.